What does the Menulog Sale mean for your Restaurant and do the numbers stack up? It has been reported today in the Fin Review that Goldman Sachs is running an international Menulog sale process that is expected to fetch up to $500 milllion. This is what we thought would happen, with our earlier blog about the Menulog IPO prospectus and one of our obviously well connected readers mentioned that it would be an international expression of interest. Do the numbers stack up and what does it mean for your Restaurant? What does Menulog’s upcoming $500 milllion sale mean for Restaurants? Do the Menulog Sale numbers add up? 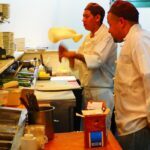 Menulog now has 5,000 Restaurants using the system and according to the article, they have revenue of $40m. Lets delve a little more into these numbers. The $40 will be commission from the Restaurants. This means that Menulog is charging each restaurant on average 8,000 a year. This is $666 per month, which indicates that Restaurants are doing around $1538 per week in online orders. Obviously some will be doing a lot more than this and some will be do very little, but these averages should be about right. There is therefore $400,000,000 in sales that Menulog is doing through Restaurants. $666 per month per Restaurant is the commission paid to Menulog on average every month based on those figures. Costs of running the company need to be taken out of that. There is no information about the costs to run Menulog, but it is probably extremely profitable. A quick Linkedin search showed 39 people currently employed at Menulog. There will be credit card processing fees on the the $400,000,000. The marketing bill would be quite hefty as they run Google Adwords campaigns, competing against local Restaurants sometimes. Just Eat, which listed on the London Stock Exchange last year, listed at 100 times their 2013 earnings. Interestingly enough, they were advised by, you guessed it, Goldman Sachs. They generated 96.8 million in revenue, up 60 per cent from the year before and had an EBITDA of 14.1m compared to 2.3 million in 2012. The increase of revenue by 60% saw an increase of EBITDA of 6 times, which shows at what volumes the economies of scale start to kick in. A price to earnings ration would put the profit at around $5,000,000. 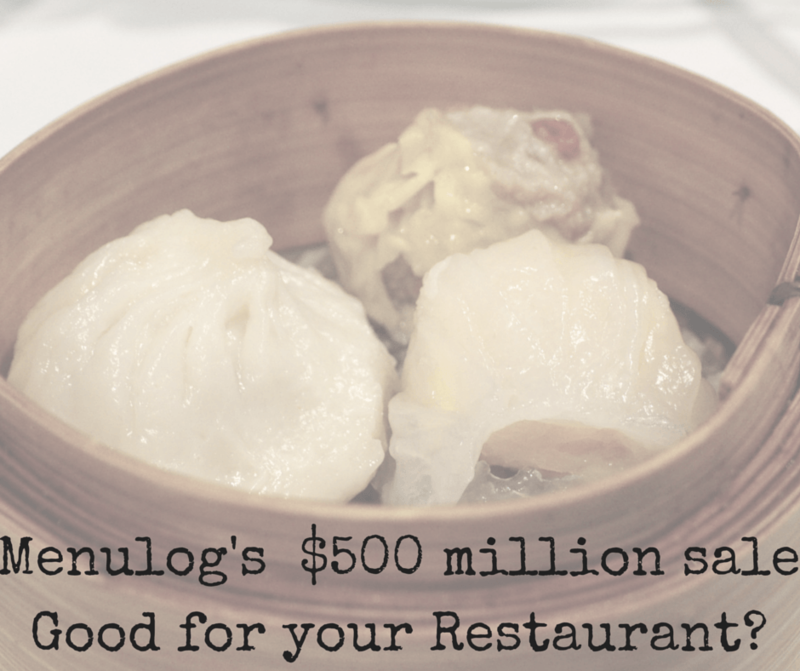 Five hundred million is $100,000 for each and every Restaurant that Menulog has on it’s books. This would have to be one of the highest per restaurant valuations seen to date. In a market like Australia, it would be hard to see how they can bring on another 20,000 Restaurants, nor can they increase the commission to 20%. That would be clearly unsustainable and would attract further competition. Unless offshore expansion is planned, it is difficult to see how that can be achieved in a market that is close to saturation. Menulog can take over 2 weeks to pay their Restaurants for orders. For any small business to wait 2 weeks for a product that you have built and shipped is a problem and moreso for the Restaurant industry. This is why we partnered with Stripe and the team from Marketing4Restaurants went to Stripes HQ in San Francisco to negiotiate on behalf of Restaurants to be able to get their money as quickly as possible with the lowest credit card fee as possible. The third party credit card fee is the only fee that Restaurants have to pay with the Free Restaurant OnLine Ordering System. We visited the Internet Archive for a historical perspective on Menulog and found some interesting information. In 2012 they were offering services in India and New Zealand. We could not find a Menulog presence in India, but they do claim 500 restaurants in New Zealand now. In Australia they had 1900+ Restaurants on the 7 December 2012. That increased to 2500+ Restaurants by Dec 2013. This then went to 3500+ in 17 June 2014 and 4700 in Dec 2014. That is growing at a pretty quick rate, but what is the real value of each Restaurant. The price of $100,000 per Restaurant clearly doesn’t make sense, so there will need to be a significant increase in Restaurants (international expansion) with probably an increase in commission. All of this agaisnt the background of Zomato rolling out online ordering at some stage, on top of the not too distant release of FROLO, we believe that this may have been one of the reasons behind the Eat Now sale to Menulog, as they were aware that our Free Restaurant OnLine Ordering system was nearly finishing development and it is extremely difficult for them to compete against a free product. If your looking for a commission free way to take orders online that builds your customer database, not someone elses, please look at our Free Restaurant OnLine Ordering system. 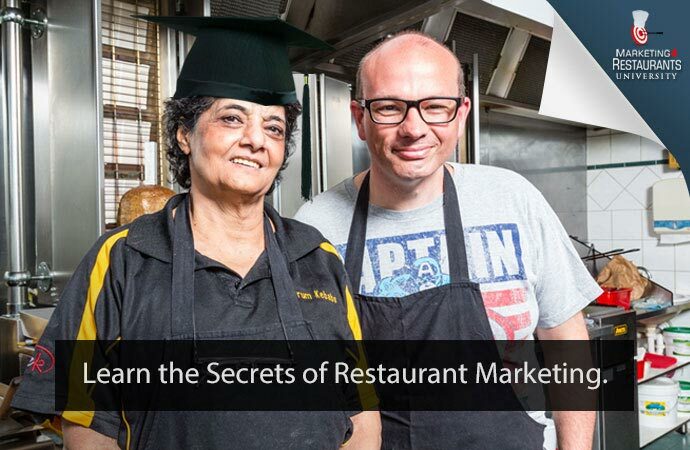 It is one of the great Free Online tools that we provide to Restaurants to help them find new customers and turn them into repeat customers. 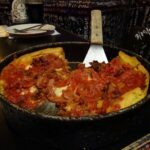 What does the Menulog sale mean for your Restaurant? If the Menulog sale does achieve a $500 million valuation, they will have received a fairly full valuation, so how can it be justified. It could mean an increase in commission. Menulog/Eatnow is still clearly the leader in online ordering in Australia and New Zealand. Anyone paying $500 million will definitely be looking to increase revenue, so the expectation is that they will look at all avenues to increase fees and charges to the Restaurants. The sale price may be a bubble, so it could be a great time for Menulog to cash in. Will the ACCC step in? Potential buyers include Delivery Hero, part of the Rocket Internet group. They had been quiet in the Australian Marketplace, until Delivery Hero raised $586 million. A purchase by Delivery Hero would effectively leave 99% of the online ordering marketing in the hands of one company. They could achieve significantly back of house savings and decrease their marketing spend. Worst of all, with no real competition, (except our FROLO), they would be free to raise the commission even higher than the industry accepted 10%. This would be a nightmare for Restaurants. We expect that the ACCC would take a close look at this merger, given the concentration of power. The next 6 months in the Australian Restaurant market will be extremely interesting. We are hoping that it results in a landscape that is easier for Restaurants to do business, not harder, but as the number of online ordering companies decreases, it would be hard to see how that will help Restaurants. 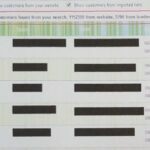 Menulog data breach - What does it mean for your Restaurant?